March 1st will be the kick-off to the Mentor Round-Up, a 3-month period of Mentor Recruitment where YOU are the key to it all. Mission: Have friends, family, co-workers, etc. become a mentor to one of the kids on our waitlist. One person you’ve recruited who is MATCHED with a mentee = ONE point. Most points before May 31st wins the $200 gift certificate. Simple. BONUS: If your recruit calls in to the Mission for Mentors Telethon on April 6th b/w 5 & 8 pm, pledges their time, mentions your name, and gets matched before May 31st you get TWO points for that recruit. We know this isn’t about the yummy food (though it doesn’t hurt); it’s about helping our kids. The more kids we help, the closer we are to reaching our Grant goals. The closer we are to reaching our goals, the more secure our funding is to continue the program and help even more kids. So start spreading the word that we have over 80 kids on our waitlist, and they are all eager to have a mentor. And no, these kids aren’t scary. They’re kids. They want someone to play with them, care about them, help them understand why 6 times 6 is 36, and why “they’re” and “their” mean two totally different things. We are more than happy to come and give presentations about mentoring at your Workplace, Service Organization, HOA meeting, Sports practice, etc. There are so many people out there who are willing to give their time to a child. Help us find them. 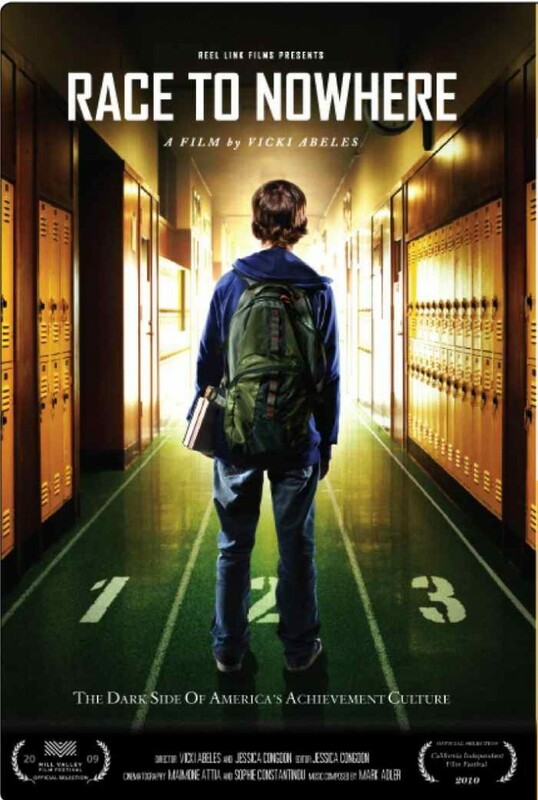 San Marcos High School is hosting a screening of Race to Nowhere at 7 p.m. this Thursday, March 10. 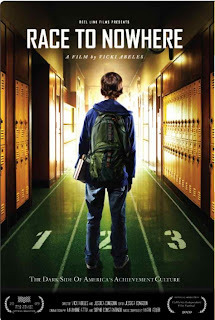 Featuring the heartbreaking stories of young people in all types of communities who have been pushed to the brink, educators who are burned out and worried that students aren’t developing the skills they need, and parents who are trying to do what’s best for their kids, Race to Nowhere points to the silent epidemic in our schools: Cheating has become commonplace; students are disengaged; stress-related illness and depression are rampant; and many young people arrive at college and the workplace unprepared and uninspired. Vicki Abeles, a first-time filmmaker, was inspired to make Race to Nowhere out of concern for her children. A mother of three and former Wall Street attorney, Abeles awakened to this crisis as her 12-year-old daughter was being treated for stress-related illness. She saw personally how the pressures were overwhelming not only to her own kids, but to students everywhere — in every kind of school environment and community. Race to Nowhere is a call to action to challenge assumptions on how to best prepare the youth of America to become healthy, bright, contributing and leading citizens. After seeing the film, your views on education and childhood will forever be changed. ~ Josh Baran represents the film Race to Nowhere. Please save your receipt and submit it to your Case Manager for reimbursement.